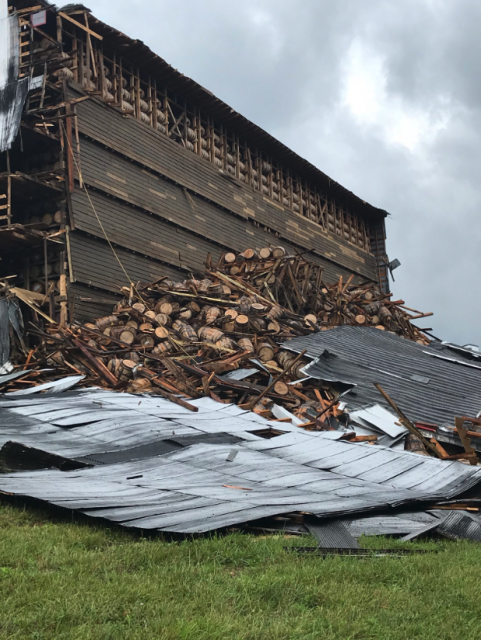 Around 9,000 barrels of Bourbon came crashing down when part of a warehouse, owned by Kentucky distiller Barton 1792 which is part of the Sazerac Company, collapsed last Friday. The distillery confirmed that the incident took place on 22 June at around 11am local time and affected one half of a warehouse. Fortunately no-one was inside the warehouse and there were no reported injuries. According to Barton 1792, it took measures to assess and contain the damage, aided by the Kentucky Department for Environmental Protection. The warehouse in question was built in the 1940s and held around 18,000 barrels containing “various distilled products at various ages”. 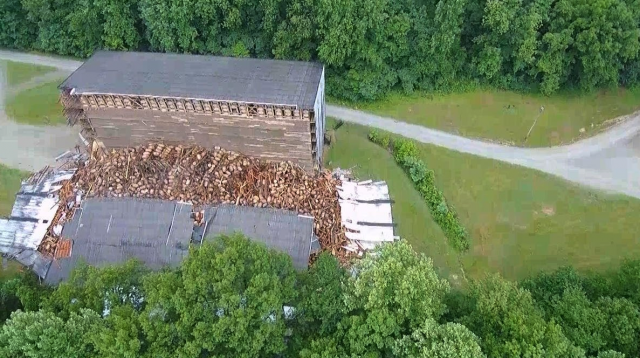 It is not thought that all 9,000 barrels were damaged, however local media reports that the spillage led to Bourbon flowing into Withrow Creek, contributing to the death of around 800 fish, according to Courier Journal. Nelson County Fire and Rescue chief Billy Mattingly said that every effort was made to contain the spill, but alcohol did nevertheless flow from around 11am to 2pm, before it was eventually contained. The distillery added that the incident is not expected to disrupt its day-to-day operations with tours continuing to go ahead. According to the statement from Sazerac, it may take “several days, even weeks” for a full damage assessment to be completed. CNN reported that the building was having a wall repaired, but this has not been confirmed by the distillery. The release added: “At this time we do not know which Barton 1792 brands or customers will be impacted”. According to its website, the distillery, which was founded in 1879, has 29 storage warehouses and 22 other buildings as part of its complex. Other brands within the Sazerac Company portfolio include Buffalo Trace, Southern Comfort and Van Winkle.